What’s the point of being free if you’re not having fun. Welcome to the widest ranging, most freewheeling riding club on the planet. The Harley Owners Group® riding club is your connection to people around the world who share the passion for having fun on two wheels. You have a standing invite to rides, rallies and other events all over the world – more than 20,000 each year. 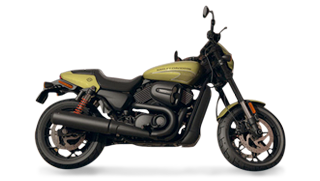 A one-year membership is free with the purchase of your motorcycle. The party is always rolling. Let’s ride.